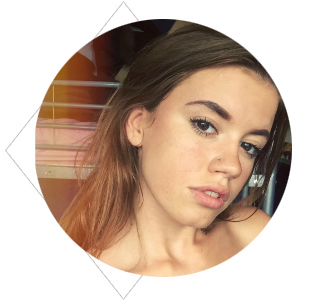 I love Brighton and I love food, so imagine my excitement when I had the opportunity to go and review a lovely little cafe right on the seafront in the heart of my favourite place ever. 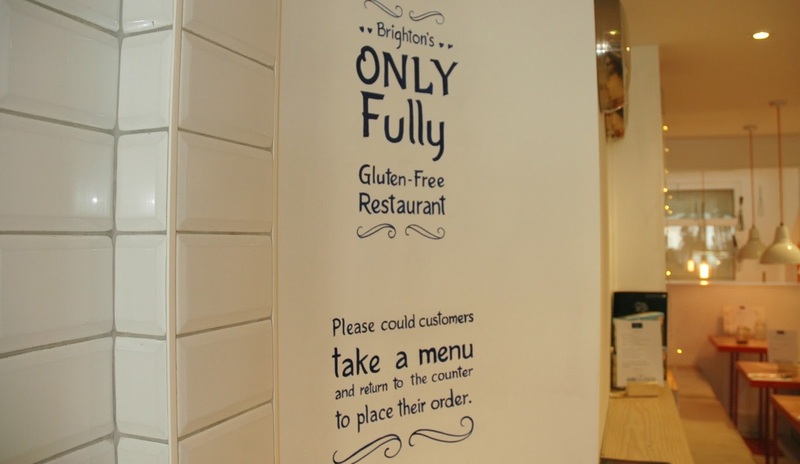 The Creperie is Brighton's first ever fully gluten-free restaurant, which is quite something for those who are constantly suffering in normal restaurants. Fortunately, I don't have any gluten intolerances myself, but was super interested in finding out what The Creperie is all about and, more importantly, tasting the gluten-free goodness. So last Tuesday, Lewis and I battled through the rain and thunderstorm (and I mean we literally battled) to get to The Creperie for a late lunch. 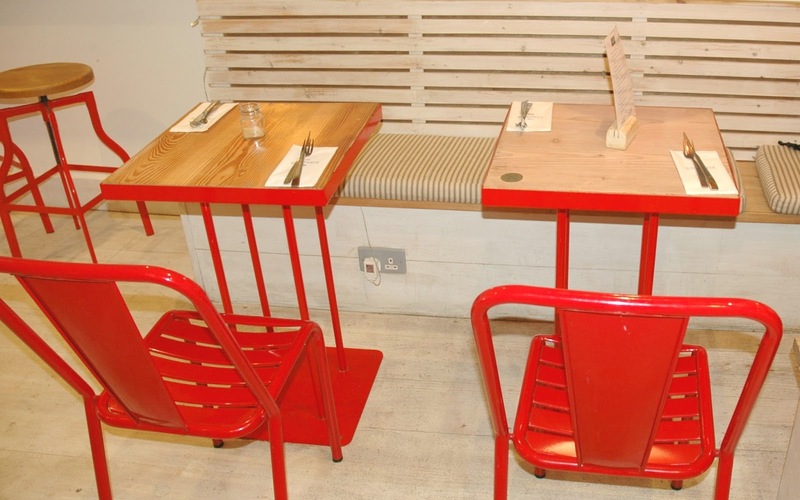 The Creperie's interior is fresh, bright and modern, making it the perfect setting for breakfast or lunch. With vivid pops of colour and pretty fairy lights throughout, The Creperie is the perfect mix in terms of Instagram-worthy style, accompanied by a warm and welcoming atmosphere. 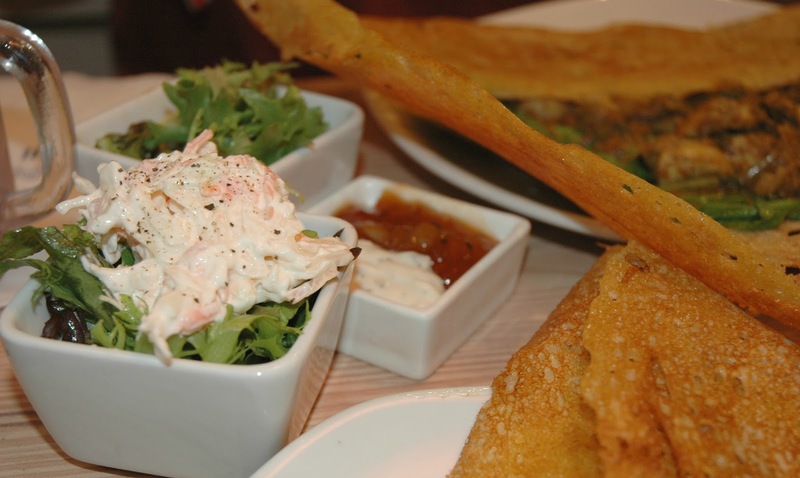 With a mission to produce a vast variety of delicious gluten-free food, The Creperie has lots to offer on their menu. Offering a great selection of hot savoury galettes that start at £5.95 and sweet crepes and waffles that start at just £4.30, we were very stuck for choice. I have the biggest sweet tooth ever and after pondering over the 'White Chocolate Dream' and 'Black Forest' waffles for a while I decided that, as we were there for lunch, I would go savoury and give the galettes a go. And I'm so glad I did. I ordered a Fajita galette and Lewis ordered the Sri Lanka galette, along with a refillable Pepsi for me and a milkshake made from their fresh Gelato for Lewis. The galettes were made from fresh ingredients and cooked right in front of our eyes which we particularly loved. There's nothing better than seeing exactly what's going into your food! They arrived in literally no time at all and were presented gorgeously, with little pots of coleslaw and salad. To say they tasted amazing would be an understatement, and that's pretty incredible considering they are completely gluten free. Both galettes were fresh, crispy and flat, made with specialist buckwheat flour. My fajita galette was perfect for me - Mexican spiced chicken cooked in onions, peppers and chilli with sour cream and cheddar cheese. It was the perfect amount of spiciness (which is pretty mild by the way - I'm a bit of a baby when it comes to spice) and tasted delicious. Lewis also loved his Sri Lanka galette, which was spiced chicken curry made with spices, onions, a hint of coconut and served with a raita and mango chutney dip. Lewis's was more spicy (which was again more fitting to his taste buds) and tasted equally as fresh and tasty. We were both very surprised at how good and 'normal' they tasted considering they were completely gluten free! Our galettes left, to our disappointment, absolutely no room for waffles or crepes as dessert but we left feeling very satisfied and intent on going back to try the sweet options soon. 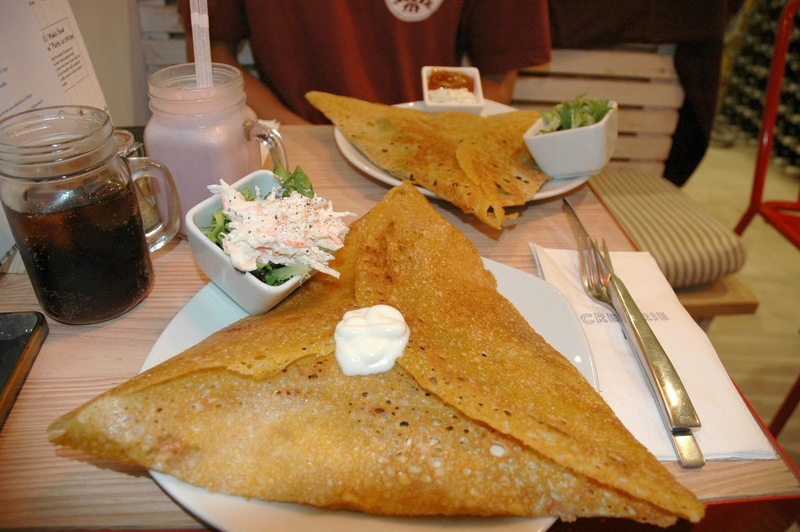 The Creperie is a place that everyone, whether you eat gluten or not, can enjoy and indulge in. 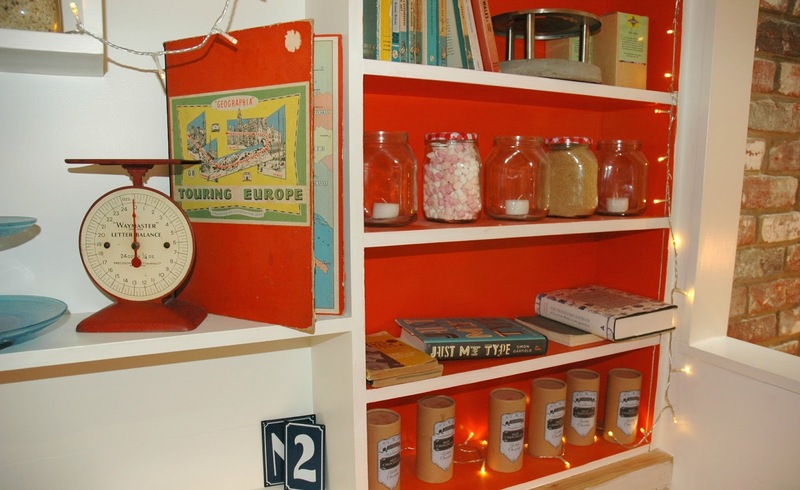 If you fancy a savoury snack or your sweet tooth is tingling, The Creperie has lots to offer and won't break your bank. 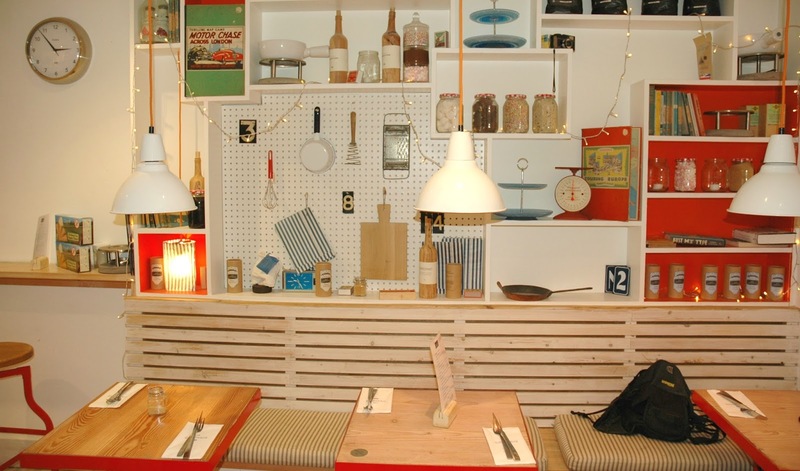 Have you eaten at The Creperie before? I have never tried these! But I watched a video on Zoella's blog and she got Italian ones. Looked so yummy! I live in Brighton but I've never heard of this place - definitely going to track it down now. Where exactly on the sea front is it? I love the idea of a gluten free restaurant. As I get older I get more and more sensitive to gluten so this is the kind of thing I'm looking for. Looks like such a cute spot to eat! The crepes look delicious! I haven't been to England yet but would love to visit Brighton and London for sure! This looks so cute! 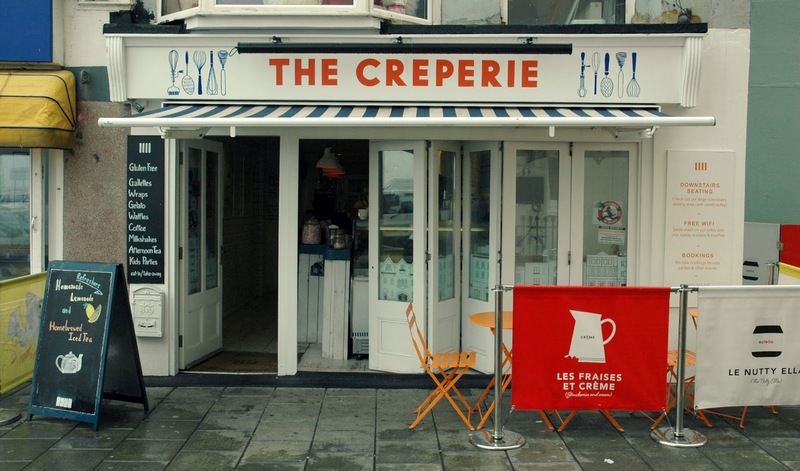 I love crepes so this is somewhere i'll deffo check out next time I'm in Brighton. Ooh these crepes look delicious, I've never actually had a proper crepe before!